Postcard US-2615869 to Finland shows a winter scene on Lake Michigan. 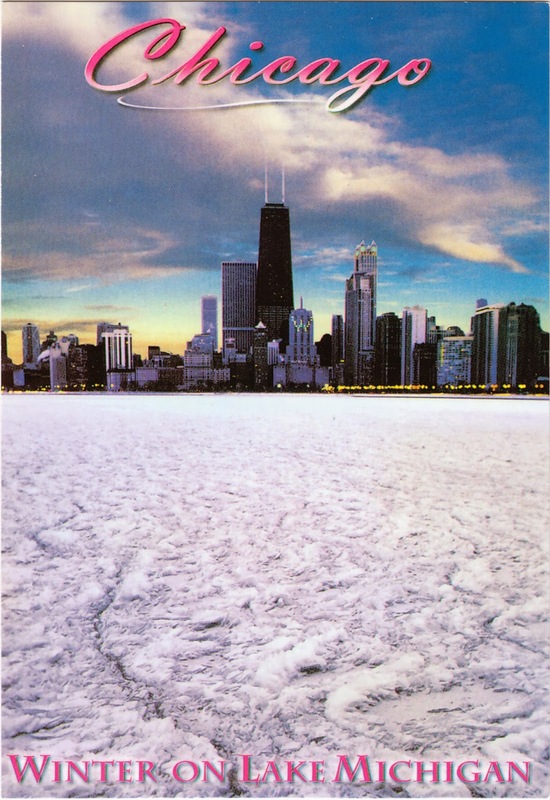 However, when I bought this postcard during a layover at the Chicago O’Hare International Airport on August 27, 2013, I had no idea that the incoming winter in Chicago could be the 8th snowiest in history by early February, 2014. The unusual repeated arctic cold air assaults have over 60% of Lake Michigan frozen. The U.S. Coast Guard Cutter "Biscayne Bay" is working to break ice on the southern Lake Michigan. For Finnish people who are no strangers to a cold weather, here are the forecasts for Chicago and Helsinki in comparison.